The Nobel Prize winner, Rabindranath Tagore (1861-1941) - 'the Indian Goethe', as Albert Schweitzer called him - was not only the foremost poet and playwright of modern India, but one of its most profound and influential thinkers. 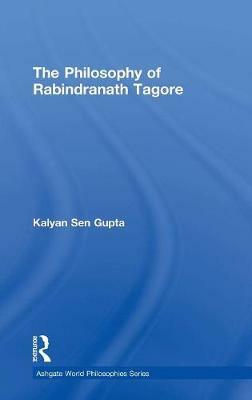 Kalyan Sen Gupta's book is the first comprehensive introduction to Tagore's philosophical, socio-political and religious thinking. Drawing on Rabindranath's poetry as well as his essays, and against the background theme of his deep sensitivity to the holistic character of human life and the natural world, Sen Gupta explores the wide range of Tagore's thought. His idea of spirituality, his reflections on the significance of death, his educational innovations and his relationship to his great contemporary, Gandhi, are among the topics that Sen Gupta discusses - as are Tagore's views on marriage, his distinctive understanding of Hinduism, and his prescient concerns for the natural environment. The author does not disguise the tensions to be found in Tagore's writings, but endorses the great poet's own conviction that these are tensions resolvable at the level of a creative life, if not at that of abstract thought.